Happy Birthday to DISCOVER the Road to Financial FREEDOM! It’s hard to believe that my Blog are already One Year Old. Time time fly so fast! Happy Birthday to DISCOVER the Road to Financial FREEDOM! that bring the “INSIDER” Ideas to Manage YOUR PERSONAL FINANCE So YOU will be More Wealthier(and happier). Thanks to all my visitors that visit and leave comments on this Blog. The most Hits, View and Comments is on The topic of Land Banking. You will find an interesting discussion between a Land Banker with Potential Customer here at Land Banking: Secret Recipes to Wealth? Page Rank is a Numerical Value which represents the Popularity of a Website. Current Alexa ranking is 893,857! Alexa Ranking is a traffic estimate. The smaller value is Better. Relatively, YouTube has a Alexa ranking of Three(3). This entry was posted on Wednesday, June 10th, 2009 at 1:09 pm	and is filed under Advertisement. You can follow any responses to this entry through the RSS 2.0 feed. Both comments and pings are currently closed. 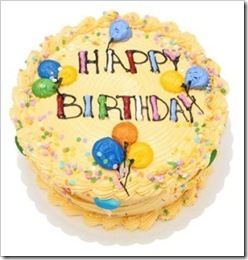 Hi Alan, Happy Birthday to your blog “Discover the Road to Financial Freedom”! Wish you many successful years ahead and wish you a wonderful Financial Freedom journey. Keep blogging! it is everyones dream to have Financial Freedom but it takes hard work to achieve it. i am blogging and making websites in the hopes that it could lead me to financial freedom someday.